If you’re looking for a basic set of clipless pedals for your bike, the Shimano SPD-SL PD-R540 (yes, a mouthful) model will do the job for the casual rider. The white pair we received match our Norco flat top bar road bike and made those long rides much easier. They are easy to snap in and out of and the tension can be adjusted. You can only snap into one side of the pedal, so that is a downside but once you get the hang of ‘flipping’ your pedal over it’s not a problem at all. 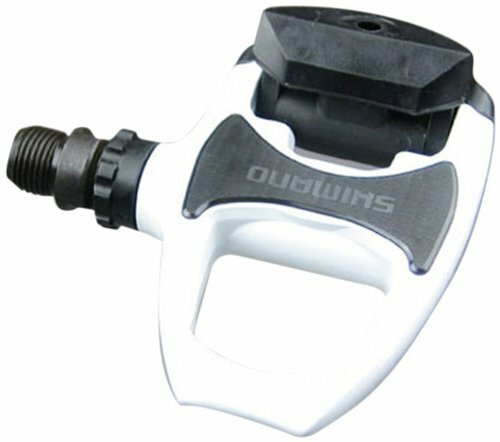 The pedals are wide and can be used with regular shoes for short distances if you don’t feel like putting on your clip shoes, say for instance on those quick trips to the store. Large binding target for quick engagement. You can buy these at Amazon.ca or Amazon.com.